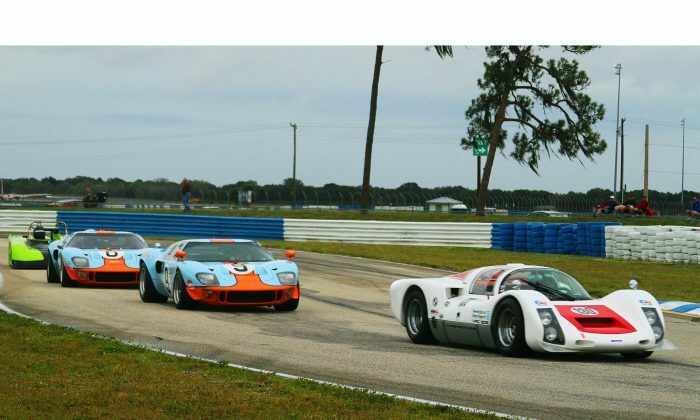 SEBRING, Fla—Historic Sportscar Racing Ltd. wrapped up its 2015 season with a four-day festival of historic race cars in action at Sebring International Raceway. The cars were beautiful, the weather was excellent (most days) and the action was exciting. Next year HSR will stage a 12-hour historic race along with IMSA’s Weathertech SportsCar Championship 12 Hours of Sebring. Visit HSR‘s website for details.